2 nuit al il pioppo ... une tres bonne impression, l'auberge est belle, les chambres agréables et propres, le cadre typique. 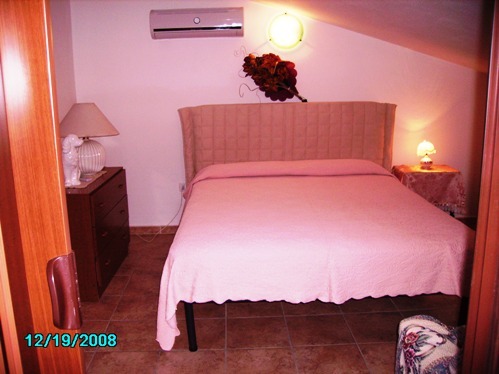 B&B Il pioppo is a beautiful cottage in countryside situated 7 Km far from Alghero, bordering the Park of Capo Caccia and a few minutes from the most beautiful beaches, ideal for a walking or a bike riding, the right place for your holiday in contact with nature and sea. 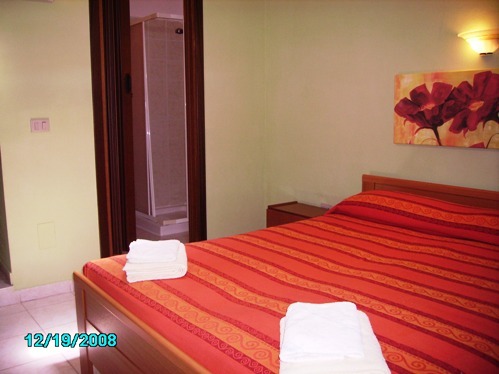 Il Pioppo Bed&Breakfast have 3 doubles rooms situated on the top floor (it’s possibile, on request, to add another bed) with private bathroom. The rooms are furnished with doublebed more singlebed, wardrobe, desk, cheer, private bathroom , air conditioning from h 19:00pm untill 08:00am. The breakfast is abundant and served on buffet ( brioche, biscuits, marmellade, butter , nutella , orange juice, bread, chees, yogurt etc...)it’s served in the summer in the veranda and in the winter in the dining room. Giovanna offers her guests a warm welcome and the famous hospitality of Sardinia. 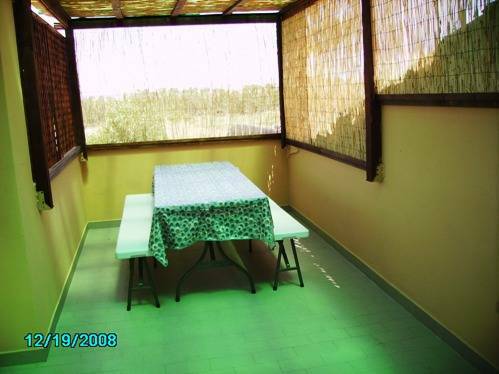 The Bed and Breakfast is in the countryside of Alghero, in the north west coast of Sardinia, in the park of Capo Caccia, immersed in the green countryside distant a few minutes from the natural park, ideal for excursion in the nature. 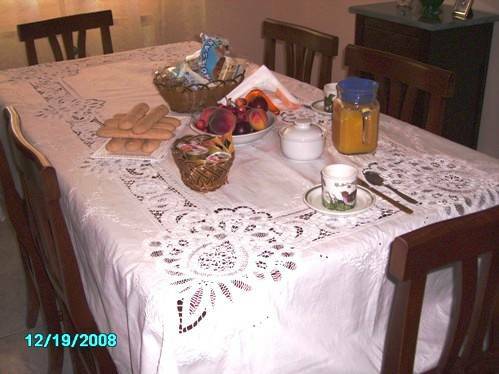 The Bed and Breakfast is a few minutes from the most beautiful beaches (Il Lazzaretto with the same name tower, Le Bombarde beach) easily attainable from the B&B by bicycle in only 10 minutes, from the local farm holidays of the zone and is easy to reach the well known restaurants of Fertilia and Alghero. In these beaches you can snorkel or simply relaxing tanning. We recommend to rent a car, scooter or bycicles we are in countryside. 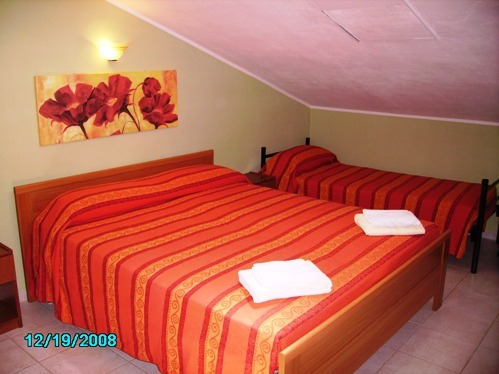 Each room have doublebed plus two singlebeds you are family of three or quarter persons and you want to book one room, you can book a room and when you coming you can pay for extra beds. please contact me after booking. The rooms are furnished with doublebed and singlebed, wardrobe, desk, cheer, private bathroom , air conditioning from h 19:00pm untill 08:00am. when you are in airport you have to call Graziella . It’s only 3 km from the airport, 7 km from the Alghero centre, 45 Km from Stintino e 27 km about from Porto Torres. follow ANNARITA b&b or Giovanna b&b roadsigns, their b&b are next to me. please coming by car and when you are in airport or in town please contact us and we coming to meet you and you can follow our car.